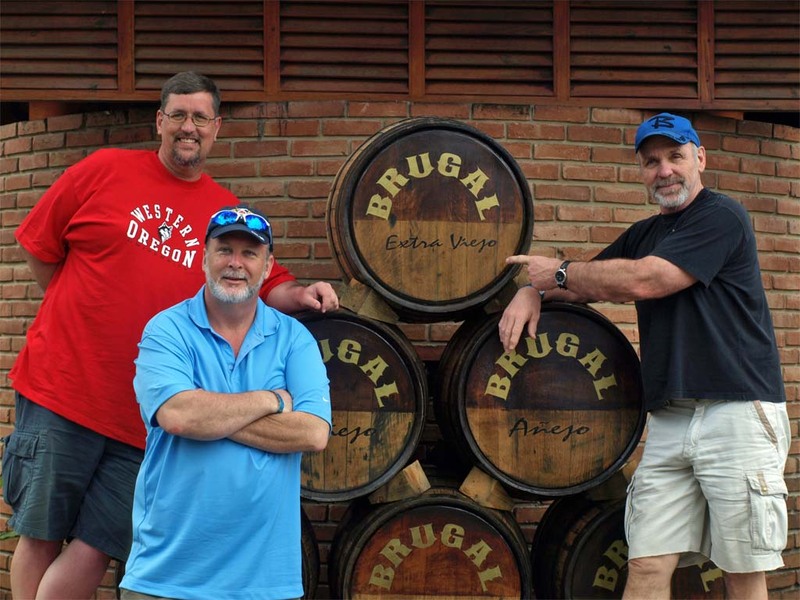 The Brugal Rum Factory is located on the Avenida Luis Ginebra on the outskirts of the city of Puerto Plata on the Atlantic Coast of the Dominican Republic. 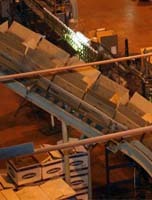 The plant is a factory and not a distillery. The rum is distilled elsewhere in the country and trucked to Puerto Plata for aging, blending, and bottling. Brugal bottles a light rum under the Carta Blanca label and produces under the Brugal label a light rum as well as multiple grades of dark rum; Carta Dorado, Añejo, Extra Viejo and the limited edition Siglo de Oro. In addition, they produce a rum cream that is very tasty indeed. The factory offers free tours on an ongoing basis Monday thru Friday 9:00 am to noon and 2:00 pm to 5:00 pm. The tour guides are multilingual and will cater to each group according to need. The tour begins in a high tech sound proofed theatre with a video (again adjusted according to linguistic need) that highlights the history of Brugal and how Sugar Cane moves from the fields and goes through the steps of the distillation process to finally become rum. Brugal rum is distilled and blended according to exacting standards that ensure a consistent product batch after batch. 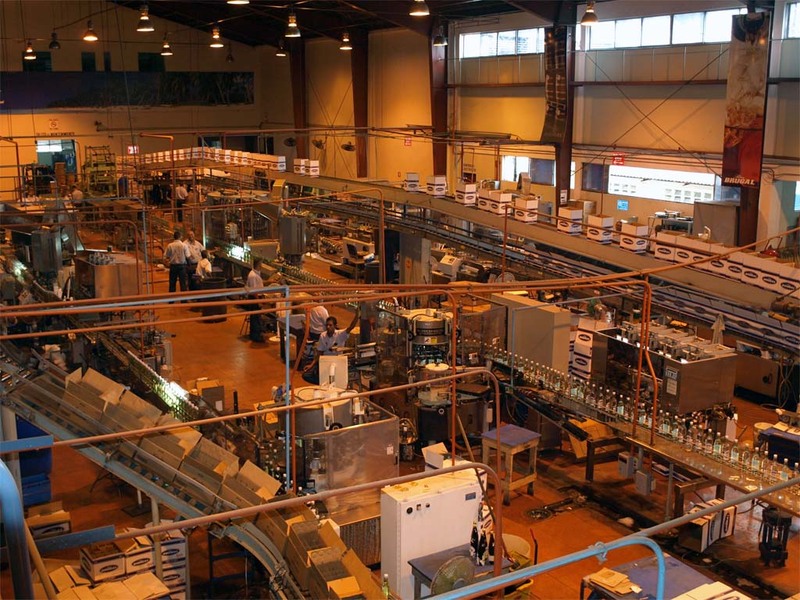 After the video, you are taken on a brief tour of the bottling room with brief being the operative word. It takes five minutes or less to move through the bottling room and outside. Once clear of the bottling line the tour winds its way into the tasting room and gift shop were one can sample the different grades of rum or simply enjoy your fill of frozen lime daiquiris. Brugal Rum and Brugal branded souvenirs are available for purchase at the gift shop and are all quite reasonably priced. The tour was very brief but a good experience. Even though it was a total guy thing, my wife enjoyed it. Our tour took place on March 3, 2009.